Nothing gives your business a professional touch like a high quality brochure. We will work with you to produce a custom-designed brochure to your specifications, using your artwork, photographs and logo, or creating an entirely new image for your business. At a loss for words? Let us get the word out about your business' strengths by writing the text for your brochure. You won't need to lift a finger, because we can even distribute your brochures where they'll be sure to have the greatest impact. 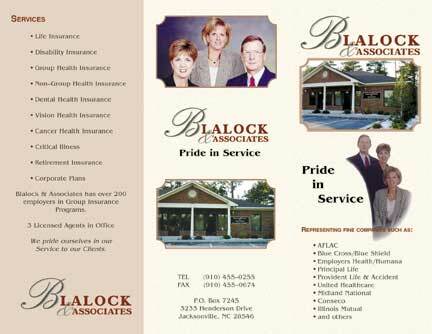 See how easy and affordable a brochure for your business can be -- call Liz Honeycutt Advertising & Marketing today!